My Two Blessings: Sunday Salon: Happy Mother's Day! My guys went off to home depot and returned with a few herb plants for me including Greek Oregano, Italian parsley, sweet basil, sweet marjoram, texas tarragon, cilantro and cinnamon basil. Unfortunately the amend potting soil had chicken manure in it and my hands currently smell like ****. Oy! I've had a nice lazy day so far and started reading Neil Gaiman's Anasi Boys. Also typed up chapter 2 and 3 edits for Eyes in the Ashes. I received some valuable feedback from the authors of Kill Zone, plus my critique class classmates and will be pondering what changes to make to chapter one. I took last week off completely from writing or editing as well as everything else, feel refreshed and rejuvenated and ready to tackle my edits again. My goal is to edit five pages a day with the hopes to finish the 2nd edit by the end of June. I also came across a wonderful idea which is to find a picture that symbolizes each scene and print it out so it will help you to visualize and include the 5 senses. Awesome suggestion and will be working this week on finding those pictures that best represent my settings. Lately I have had the urge to draw and would love to take a drawing class. 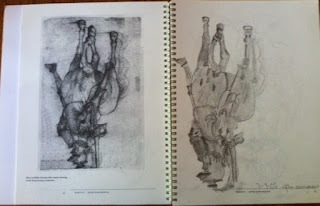 With that in mind, unearthed from my bookshelves Drawing on the Right Side of the Brain which had started to do with James back in 2005 but never finished. For some reason it got shelved and just came across it yesterday. My attempts aren't half bad and I remember having fun doing them. For instance, this upside down drawing. I just finished reading Iain Pears' The Raphael Affair. I love art mysteries. This was the first book in the art history mystery series and his debut novel. Wasn't as well written as the rest of his books but that's to be expected. His other books in the series as well as An Instance on the Fingerpost and Stone's Fall are excellent. Off to do my sponsorly gig and check in with my fellow rowers and give them some cheerful, positive encouragement. Glad you are feeling refreshed and wishing you a great week of edits! The garden looks awesome. 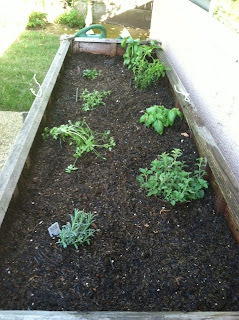 I really want to start an herb garden, and think that this year I might try something small and see how it goes. I love having fresh herbs for when I cook! :) Have a great week and happy mother's day! Happy Mother's Day. I love growing herbs, so have fun! And it's good to take a break when you can, you come back refreshed. The garden sounds delightful! I’m sure it will be great as the plants grow and fill in. Sounds like you taking time off has provided the break needed to get back to the edits. Good balance of fitting in reading as well. Have a great week, Robin! 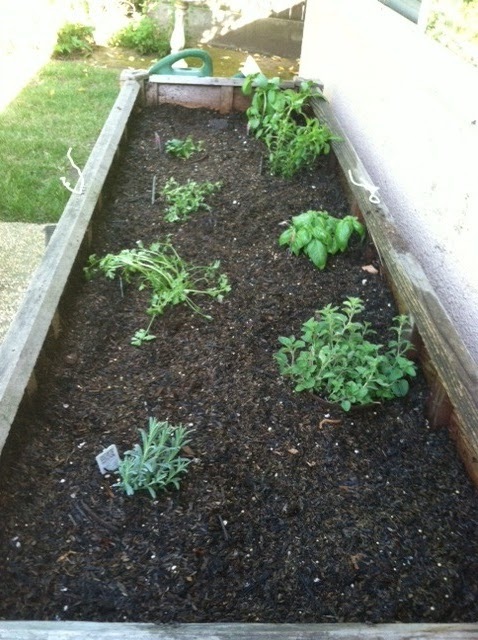 nothing like a short holiday - glad you have come sparkling new - herbs great - but was the chicken manure for them - bit rich no?